Coors Light ran a brand marketing campaign that was created for its Saratoga market. Lamar digital capabilities make it possible for brands to market their product to specific regions, using what is important to that area. 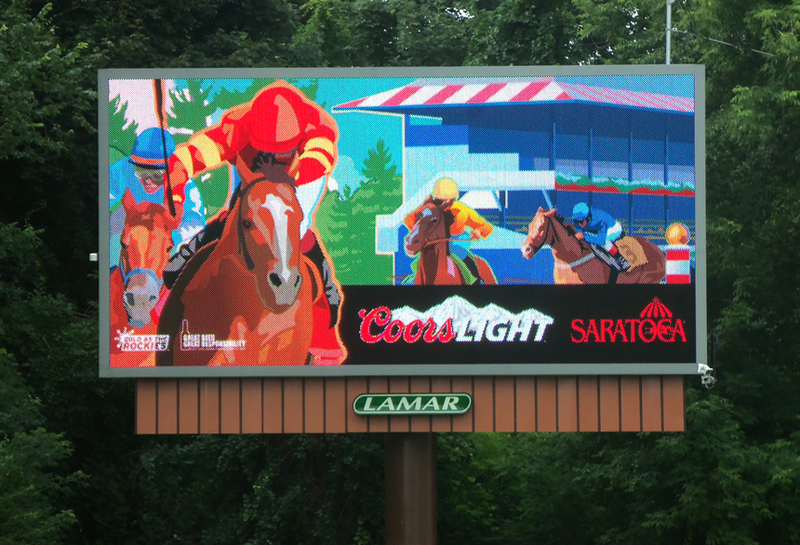 In the case of Saratoga, Coors Light focused on Horse Racing.